We enjoyed our stay here. Very clean facility and Bill was always very helpful. We had an issue with our hitch when we first arrived and he directed us to an RV repair man who came out on site for a minimum service call fee. We will stay here again. Well kept RV park. Family owned and operated, and they are always very friendly and always very accommodating. This is our 1st stop on our way West for the year. 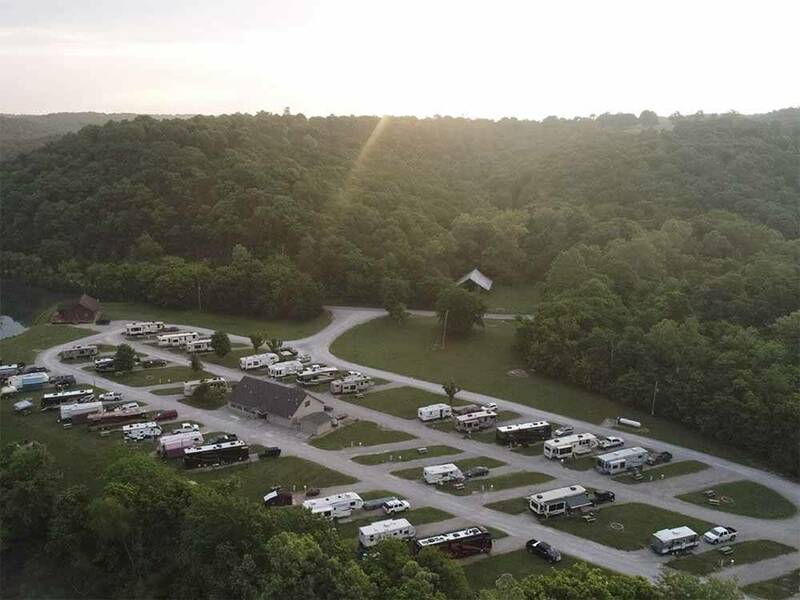 We usually stay March & April, then come back and stay October & November, before heading back East for the family & holidays!We spend eight months of the year RVing all over the U.S. Denton Ferry is at the top of our list of campgrounds.The campground is located right on the White River. All you have to do is put on your boots and walk down a short path to some of the best trout fishing in the lower 48.Denton Ferry is centrally located between the Bull Shoals Dam area and the Norfork river.The biggest Brown trout in the U.S come out of the White River system. Guides are available at reasonable rates. Sites are great size for easy pull thru or back in to river sites. Plenty of activities for all in area, shopping, antiquing, & thrift stores. There is always something going on at Bull Shoals Theater, and the Arkansas State University. Cotter has a Trout Festival in May. The "Sowbug Roundup" is a 3 day fly tying & fly fishing show held in Mountain Home in March. Mountain View has several festivals and is a nice day trip. Excellent walking path runs from campground to Cotter Springs. Owners are always accommodating & helpful. Excellent clean & affordable laundry facilities. The bathrooms are well cared for. A great home feel when away from home. We highly recommend it! Very nice campground. Staff were very nice and helpful. I would strongly recommend campground to anyone. The only negative would be the lack of additional/overflow parking. Only 1 car per site, but no overflow parking lot exists. Outstanding host. Helpful with anything you need or request. Well kept park and facilities. Perfect place for some of the best trout fishing ever. There is wade in access as well as boat ramps in the area with nearby guide and boat rentals. The park is kept very clean as are the shower and laundry facilities. WIFI was a bit weak in some areas of the park. The park is relatively new and there is very little shade except for the sites nearest the river. The owner/operators are some of the nicest and most hospitable people you'll ever meet.